NAMM 2019: Peterson Strobe Tuners has announced the StroboStomp HD, the newest version of their StroboStomp tuner pedal. The new HD features multi-color display that is LCD-based and LED backlit. Users can select a variety of preset colors that will change the display color for unique viewing preferences, and can also associate a color to any specific tuning preset. Configuration of custom colors can also be done using Peterson’s website app, Peterson Connect™, and updating the StroboStomp HD via USB. 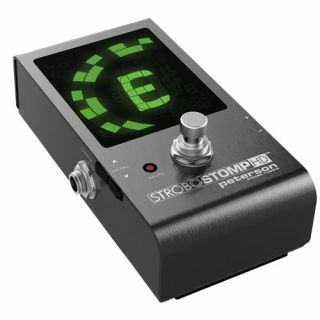 The StroboStomp HD will be available beginning in April for $129.99. For more information, head over to Peterson Tuners.